The former chief minister also criticised the Yogi Adityanath government for the plight of potato farmers and non-payment of arrears to cane growers, among others. 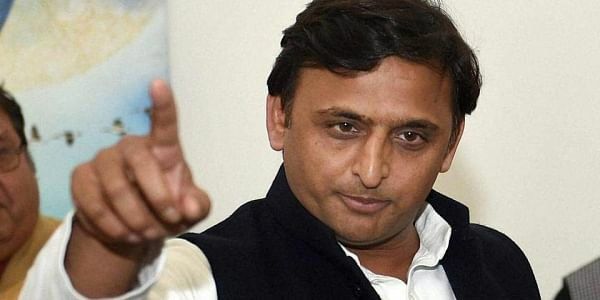 LUCKNOW: Samajwadi Party president Akhilesh Yadav today accused the ruling BJP of spreading "hatred" and trying to "divert people's attention" through its campaigns for the civic polls in Uttar Pradesh. "Nothing should be expected from the BJP now... its foremost task is how to spread hatred, create problems and humiliate others. In order to divert attention of the people, the BJP leaders pick up brooms or wear masks," he told reporters here. "The BJP blames others (for lack of development in the state), but now it is ruling Uttar Pradesh... most of the big cities had BJP mayors, but even the garbage has not been removed in the past 10 to 15 years," the SP leader said. "Except for picking up brooms (as part of the Swachcha Bharat Mission)... I don't think the BJP has any direction," he said. Stressing that his government had completed the Agra- Lucknow Expressway in 23 months, Yadav said that it was now the responsibility of the present dispensation to construct the Purvanchal Expressway. "This is the responsibility of the government... they will get funds from the Centre... Niti Aayog is also cooperating with them. They (BJP) were saying that they will connect Varanasi and Ayodhya, but they should at least start the work," he said. Yadav said that if expressways and 'mandis' (wholesale markets) are made, the state will develop and farmers will get good rates for their produce. "If dairies such as Parag and Amul come up, it will improve the rural economy, if laptops are distributed it will take the country ahead on the path of 'Digital India'," he said. To a question on the possibility of entering into an electoral alliance with the BSP, the SP president said, "We are trying to work a way out an alliance... our relations are not bad with anyone... we are in the forefront to improve relations." His remarks came after BSP supremo Mayawati yesterday said that her party favoured joining hands with secular fronts in the Lok Sabha and state polls, only if it gets a respectable number of seats to contest. On the law and order situation, the former chief minister said that the people of the state know that the BJP government has "failed" on this front.